Director of Leverage Sales Coaching, Bachelor of Business, Melbourne University. With over 30 years’ experience in sales, Serge’s vision is to develop the next generation of exceptional sales people. Serge’s sales expertise was honed by many years in the franchise area. As the part owner of the Movieland franchise model which included 135 stores across Australia, he helped develop a business model that was successfully implemented by the franchises around Australia. In more recent years, Serge Romano moved into the finance and mortgage broking industries. His roles in franchise and sales management within Mortgage Choice, Rams and Commonwealth Bank enabled him to lead and shape successful sales teams as a guide, teacher, coach and mentor. 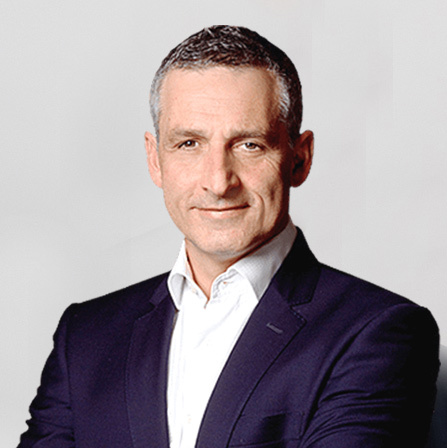 Serge Romano now is the Director and Head Sales Coach for Leverage Sales Coaching within Australia, New Zealand and South East Asia teaching proven Sales Systems and Processes to CEO’s, Managing Directors, Sales Managers and sales teams across a broad spectrum of companies. As a sales leadership coach Serge’s expertise lies in assisting clients to continuously strive for their best, spotting opportunities to achieve better outcomes, implementing strong staff development practices, performing regular reviews to enhance and motivate the output of their staff. With the ultimate conclusion being the development and implementation of a “Sales Playbook’! Together with his brother Tony, Developing and Growing the Movieland Video brand across Australia to 135 stores. Along with starting and growing Leverage Sales Coaching to a successful platform across Australia, New Zealand and Asia. “An excellent chair injects the probing question, challenges and pushes for an answer to the uncomfortable question, and brings issues life. They heighten the debate and the exploration of specific business issues that members are grappling with. Serge Romano is Chair of excellence. He is indelibly personable. He is genuinely, deeply interested in those around the table and the efficient and dynamic development of their business interests. He holds his board members to account. Serge executes his role as Chair with precision coupled with a generous dash of good humour. Express interest in joining Serge Romano’s board by getting in touch today.